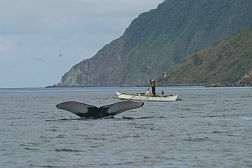 Our current projects focus on the humpback whales in the Babuyan Islands, Northern Luzon; cetaceans in the Bohol Sea and fisheries for mobulids in the Bohol Sea. 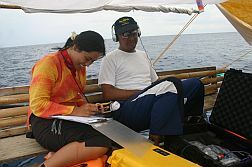 In the Babuyan Islands, apart from our photo-identification and acoustics work on humpback whales, we also conduct regular monitoring of other cetacean species that occur in the Babuyan marine corridor. In cooperation with government agencies, local government units, universities, and other environmental organizations, we have been conducting research in this area in order to provide scientific data for the adoption of conservation measures to protect the biodiversity of the region. In the Bohol Sea, we conduct cetacean surveys to better understand distribution and habitat-use of species. Our other research in the Bohol Sea is monitoring catch landings to feed into our sustainable fisheries project. We also conduct exploration surveys in reported or suspected cetacean areas. These surveys are designed to determine what cetacean species are found in the area and what threats (if any) are present. Data gathered are presented to local government units and agencies to increase knowledge on cetacean species in the area and to provide recommendations on monitoring and conservation strategies in the future. 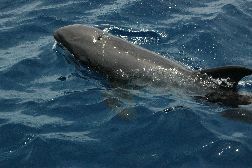 We house a rich cetacean sightings and strandings database in the Philippines. We collect data on actual sightings from dedicated research surveys, reported sightings and archival information around the country. We also collect data on reported cetacean stranding incidents contributed by individuals, agencies, local government units or taken from news reports, as well as data collected by our own stranding response team. All this information is housed in our database and can be accessed by the public.